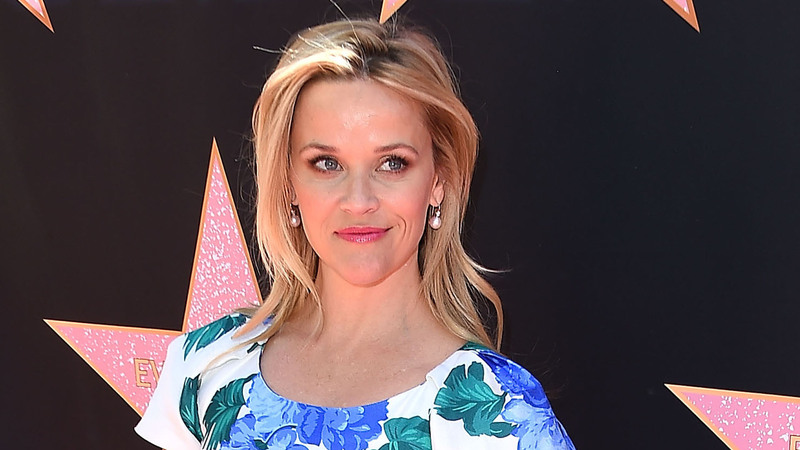 Reese Witherspoon is an insanely talented — and busy — woman. Right now, she's in what some people might refer to as the golden age of her career, juggling more projects than ever before. She's producing and acting in an untitled morning show drama with Jennifer Aniston; preparing to star in the limited series Little Fires Everywhere across from Kerry Washington; wrapping up season two of Big Little Lies; getting ready to play Tinker Bell in Disney's live-action movie; starring in Disney's upcoming comedy Wish List; hosting an unscripted TV show titled Shine On with Reese; and producing a long list of movies and TV shows with her production company, Hello Sunshine. We just got tired from writing all of that out. We also can't forget to mention that Witherspoon runs her home and clothing company, Draper James, and is releasing her debut book, Whiskey in a Teacup, later this year. Where does she find the time?! And now, folks, it seems she may have her eye on a new project — bringing romantic comedies back to life. While enjoying some downtime (downtime? Where in the world does that fit into her schedule? ), Witherspoon watched Zoey Deutch and Glen Powell's new Netflix romance Set It Up. Deutch and Powell play two corporate executive assistants who hatch a plan to set their bosses up — and of course (spoilers ahead) they fall in love. It's gotten rave reviews from fans, and now, Witherspoon is adding herself to that list. "Watched a GREAT romantic comedy @SetItUpNetflix this weekend … which made me think .. why aren't there more romantic movies?!??!" Witherspoon tweeted. OK, OK, so this was more just a musing about her love of and longing for more romantic films than a plan to get back into them, but as it's been proven over the last decade, Witherspoon rarely wants something and doesn't go after it. Plus, with her Hello Sunshine company making huge waves in Hollywood and her impressive résumé as the early 2000s romantic comedy queen, she's got everything she needs to bring a few charming, modernized romantic comedies our way. While we don't expect Witherspoon would play much of a role in front of the camera for romantic films — she's been there, done that and onto the next chapter in her career — it seems she could be interested in producing the next best Netflix-and-chill films, which we are totally here for.